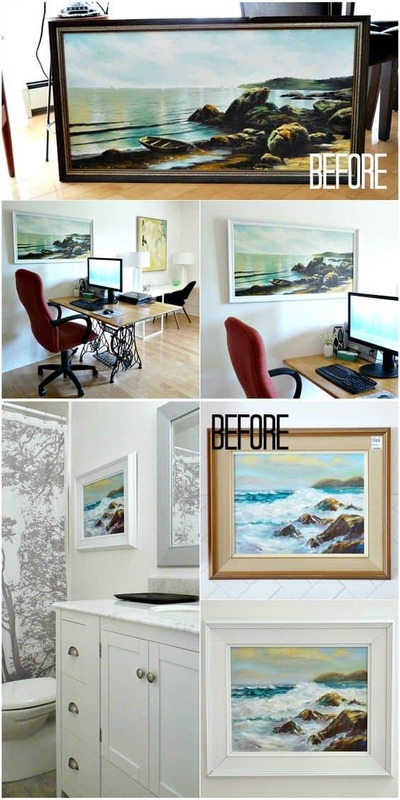 If you love to get creative, here are some fantastic ideas for thrift shop art make-overs. The stacks of paintings at thrift stores usually intrigue me, but then once I really start to inspect the pieces, I find that I don’t really want them in my home. Dark colors, busy compositions, less-than-perfect frames, and odd subject matter fill thrift shop paintings. However, once I started learning about cool artsy make-overs for these strange pieces, I gained a whole new appreciation for them! They are full of potential. 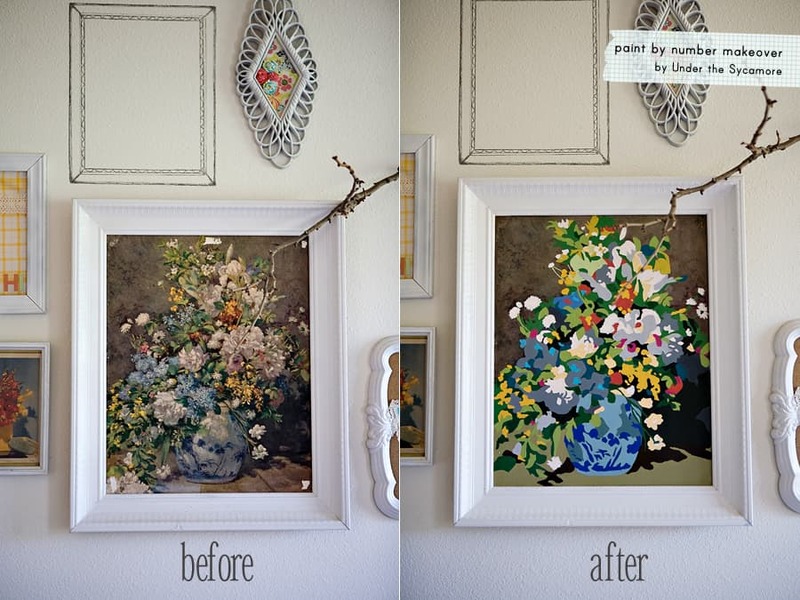 Here are five ways that you can give vintage art new life. 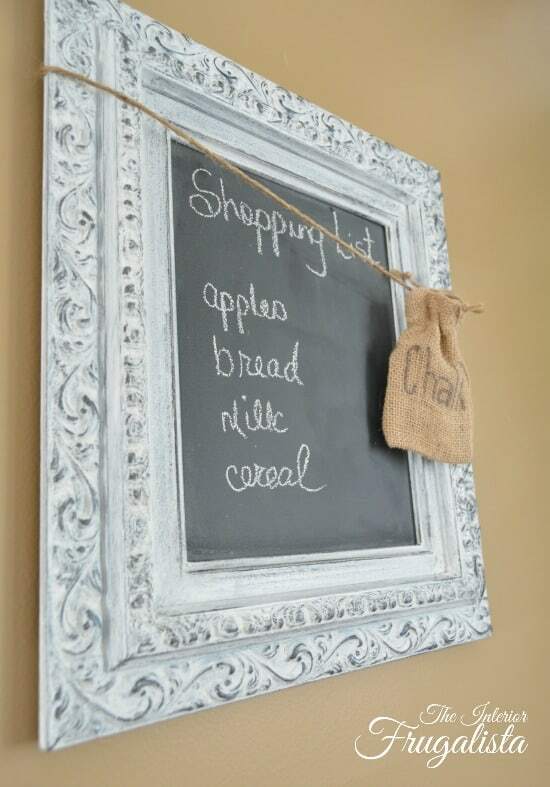 Turn a thrift shop painting into a chalkboard using chalkboard paint! There are many D.I.Y. tutorials online. The steps outlined by The Interior Frugalista above were my favorite because they were very clear. I love the way these vintage paintings, which seem somewhat outdated at first glance, are given new life with bright white frames. When you find a painting that is beautiful in it’s own way, and you can’t quiet bring yourself to paint over it, update the frame. This painting started out cluttered but ended up simple and stunning. The paint by numbers approach would be fun to do if you have an eye for color and design! Get your creative juices flowing by sitting down with your painting-in-need-of-a-makeover and a set of basic acrylic paints. Do you have a friend who loves to get crafty? 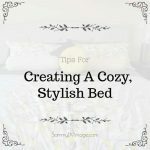 Consider turning a project like this into a play date! 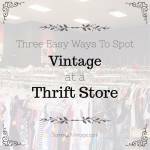 If you like to add a splash of playful humor into your decor, try picking out a rather boring piece of thrift shop art and adding a monster, alien, robot, or sea creature. The serpent above was painted by a talented artist, but you could simplify the design and still keep the humor. You don’t have to be an artist to paint in a silly looking tentacle or two. 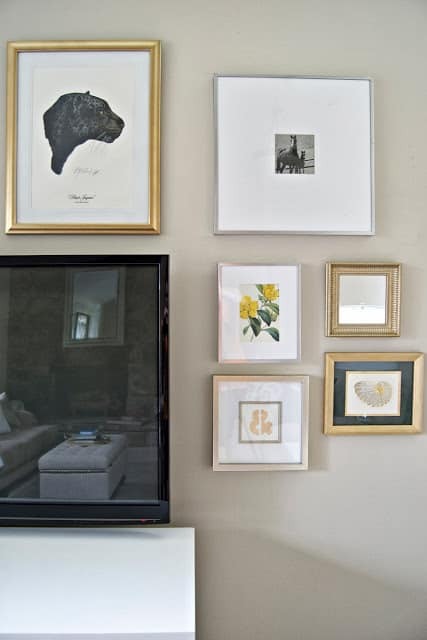 Frames that you find at thrift stores can be mixed and matched together to form a chic gallery wall. 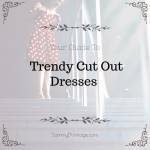 Find appealing images to insert inside. 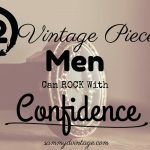 You could use vintage fabrics, pages of old books, and re-purposed thrift store prints. 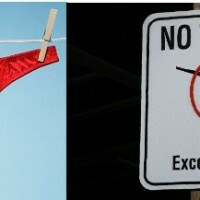 Be sure to incorporate lots of white space between the content and the frame so that the effect isn’t too busy. 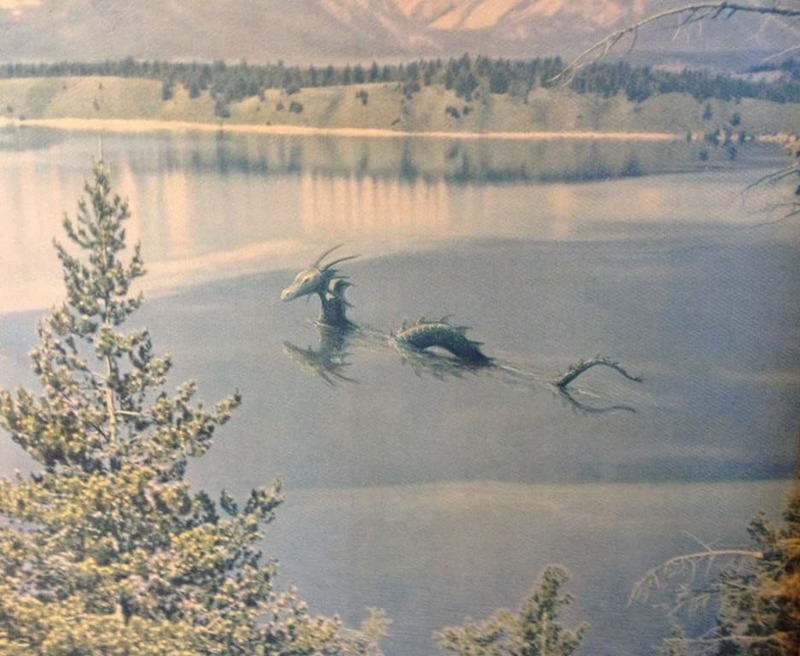 Thrift shop art has a great deal of potential! From the frames to the paintings, prints, and photographs themselves, there are many beautiful elements hidden among the dust and cobwebs. 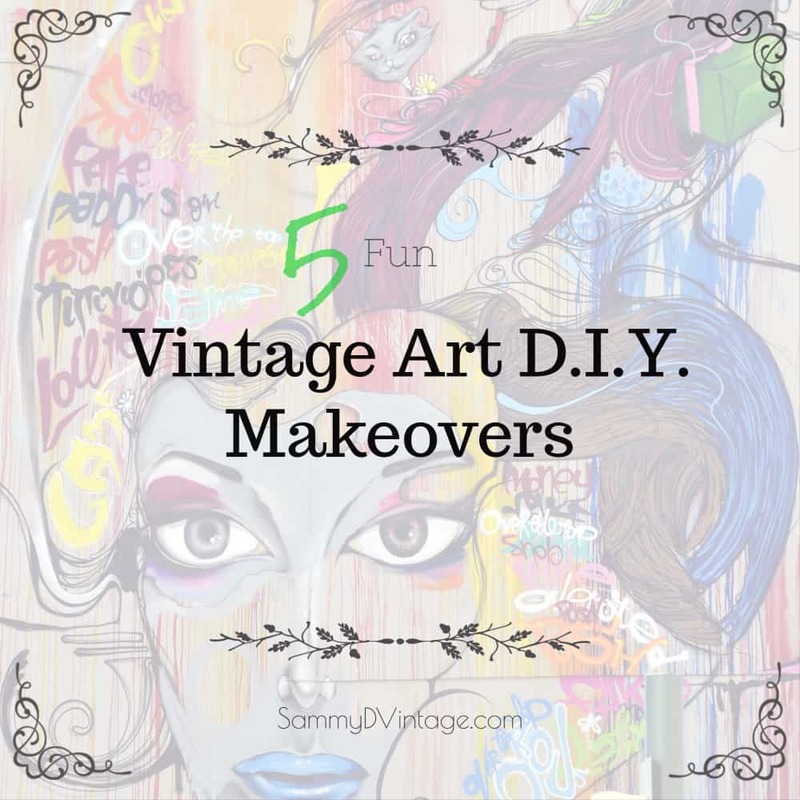 Have fun making over your own vintage art finds, and please let me know what you discover in the comments below! 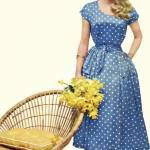 « Cute Vintage Style Sweaters You’ll Love!